On September 11, 2001 we watch in helpless horror the events folding in New York, Washington and a field in Pennsylvania. The unbelievable events of that day are permanently ingrained in my mind forever. In America it didn’t matter who you were that day, we all felt the sorrow, fear, anger and disbelief of what we saw. 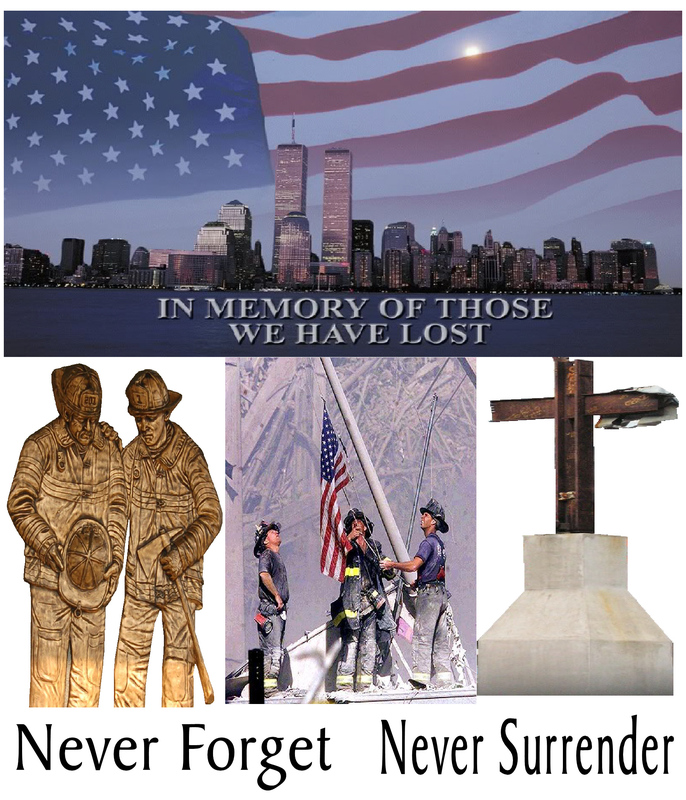 In the end 2976 lives were lost that day, people of all walks of life and from many nations around the world. It wasn’t an attack against our military like Pearl Harbor, it was a direct attack against civilians and our Country. So many brave people that day gave their lives, firemen & police in the towers, stock trader Welles Crowther who saved a dozen people but surrendered his own life. The people who pulled burned people from the Pentagon and citizen heroes who stopped Flight 93 from killing anyone else but themselves. The sacrifice of these people shows the heart of America and shouldn’t never be forgotten for any reason. It doesn’t matter who you are, what politically party you belong to, remembering this day is to honor the victims and to remind ourselves of the danger. The threat against this nation is still out there, it has been severely diminished by our military and our intelligence agencies. Our government failed us before the events of 9/11 and although several attempts have been made since, we have had no more attacks here. We took the fight to Bin Laden, Al Qaeda and the Taliban in Afghanistan for what happened on 9/11. What has taken place in the wars doesn’t belong on our day of remembering 9/11 and the victims. The sacrifice of our soldiers is no less than civilians who died on 9/11, they are the reason for no more attacks on our soil. We should spend this day reflecting on the lives lost, for nobody can tell what tomorrow may bring. This entry was posted in 9/11, America, Government and tagged 9/11, 9/11/01. Bookmark the permalink.